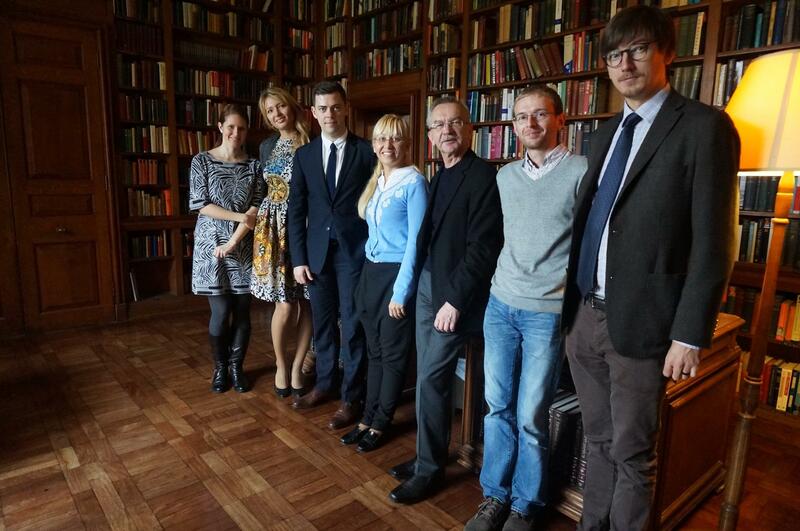 After presenting at the Oxford German Forum, the Ambassador of Ukraine to Belgium and Head of the Ukrainian Mission to NATO Mr. Ihor Dolgov met the members of the Oxford University Ukrainian Society. The meeting took place at Campion Hall where the members of the Society had an excellent opportunity to talk to the Ambassador. 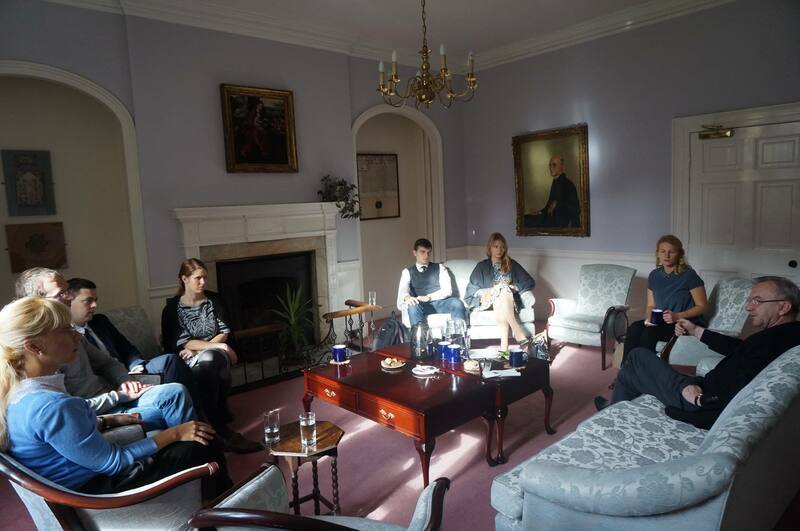 Mr. Dolgov was interested in hearing about students’ experience at Oxford and their future aspirations. 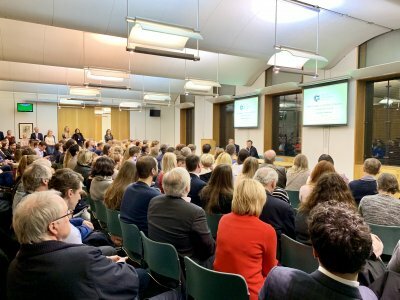 He stated that the new generation of well-educated people will be an essential impetus and force in changing Ukraine for the better. 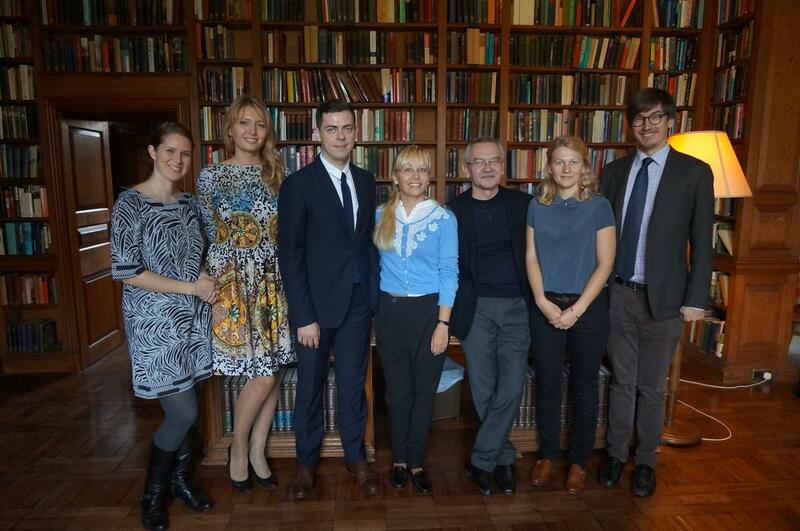 The members of the Oxford University Ukrainian Society also availed of the chance to get insight onto cooperation between Ukraine and NATO. After the meeting, the Master of Campion Hall kindly took the guests on a friendly tour of the premises showing precious collections of art, as well as the Hall’s chapel.